Buffalo Psychiatric Center (BPC) has been in the forefront of suicide prevention in the Western New York community for more than 10 years. The effort has, in no small measure, been directed, led, and passionately moved forward by Celia Spacone, Ph.D., first as BPC Director of Operations and, for the past two and a half years, as Executive Director. As a core value, our facility strives to eliminate suicide in the population under our care. We have embraced the use of best practices involving advanced training of staff, suicide risk assessment, and elimination of environmental risks. Our efforts have had a community impact as well, as we have hosted and co-sponsored suicide prevention training with such community partners as Crisis Services, VA WNY Healthcare, and the American Foundation for Suicide Prevention. In addition, BPC has actively participated in the AFSP’s annual Out of the Darkness Walk and, under the direction of Dr. Spacone, has organized, publicized, and hosted the AFSP’s Survivors of Suicide Day Program for the past 10 years, each year attracting a larger attendance. 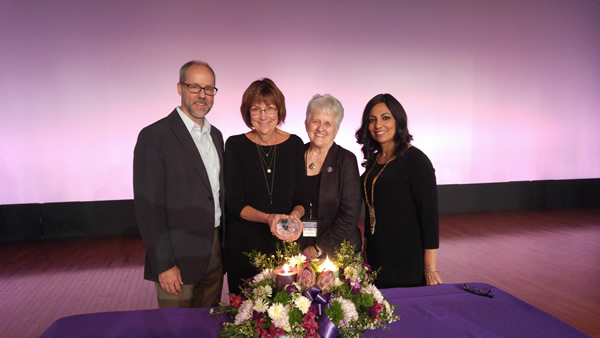 As the empathetic facilitator for this program, Dr. Spacone has created a supportive event that has reduced the suffering of many who have lost loved ones to suicide and has provided a sense of hope for the future. In 2014, BPC’s suicide prevention efforts were accepted as a “leading practice” by the Joint Commission. Our suicide prevention initiatives have continued to evolve with a “caring contacts” process begun in 2015, which encourages staff follow-up at discharge and has been shown to reduce readmissions and prevent suicides. A “warm transfer protocol” for individuals who may have previously attempted suicide is an additional part of the effort. BPC clinicians also participated in the Safety Planning training provided as part of the NSSP SAMHSA grant. Family Connections, a two-day train-the trainer program for peer-led support groups for family members, organized through this grant, was also held at BPC. Since its inception, BPC has been an active participant of the Suicide Prevention Coalition, and for the past two years has participated in sponsoring a billboard for Suicide Prevention Week. Dr. Spacone’s leadership has been the guiding force that has enabled BPC to be an innovator and leader in suicide prevention and awareness in our region. 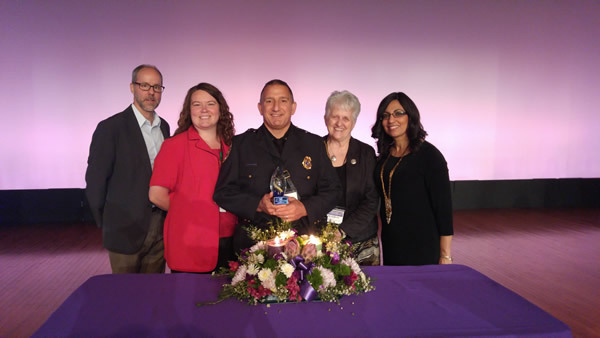 Lt. Guerrera works for the Cortland City Police Department (CPD) and has become a champion of the crisis response team, known as the EDPRT- Emotional Disturbed Persons Response Team. Each year, the local community comes together to train even more officers to be a part of this team. Because of our monthly conversations with the team and community organizations, Lt. Guerrera decided to collect better data around the number of people with whom the police interacted who were actively suicidal, as well as how many are directed by police to other community resources or the hospital. The team also follows up with many of these individuals following their initial contact with the police; often, once these individuals are connected with services, they do need to contact the police again. The police will also reach out to the LGU to receive more assistance for those who have difficulty being connected with the services they need, and do preventative visits with those who are in risk of crisis. Through this community-based work and Lt. Guerrera’s leadership, the police have come to be seen not as a source of fear, but as an enormous source of support. They also do preventive visits with individuals that are starting to reach a boiling point. The EDPRT team also is strongly connected with the Community Services Board and other projects. The team members act as guides during our suicide prevention walk in September and during Mental Health Month in May, both providing safety and walking side by side with individuals with lived experience, family members and providers. In a touching moment for many peers and family members during our September 2016 walk, several police officers placed beads around their neck indicating that they had lost a first responder to suicide. This gesture showed that police officers are real people who also are at risk for suicidal thoughts. I feel strongly that Lt. Guerrera and the entire EDPRT team are a great example of a police force that wanted to set up and tackle a problem head on. As a result of their efforts, the number of officers injured in the line of work has plummeted, as has the number of individuals in crisis contacting police. I am proud to have Lt. Guerrera and the EDPRT as a part of my community and suicide prevention coalition. 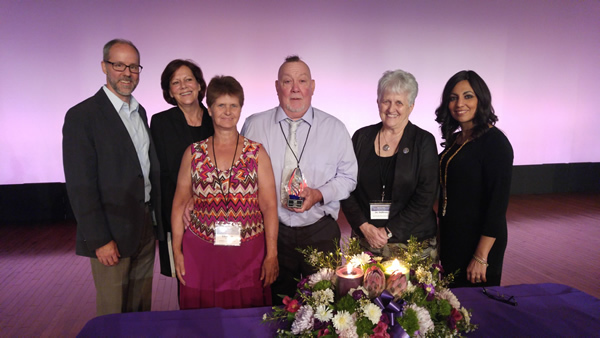 The Regional Suicide Safety Leadership Team (RSSLT) has evolved from the well-established and highly regarded Regional Crisis Team (RCT) of Putnam Northern Westchester BOCES. Under the leadership of Dr. Lynn Allen, Assistant Superintendent, the RCT offers timely yet thoughtful and calm responsiveness, assistance and support tailored to the specific needs of its 18 component districts, when crises occur. Established in 1999 as a self-study group to develop and share best practices for managing the potential of school violence, this group has remained a strong collaboration and recognized resource in the region. It serves the needs of districts and PPS staff to network, problem solve, learn from each other, augment others’ crisis response teams, and provide debriefing and support following deployment of a district team. Its longevity is due to strong leadership, dedicated members, and its reliable provision of professional and timely support and services in times of need. Over the years, the RCT has been activated to respond to the needs of districts that have experienced suicide loss of students or other school community members. 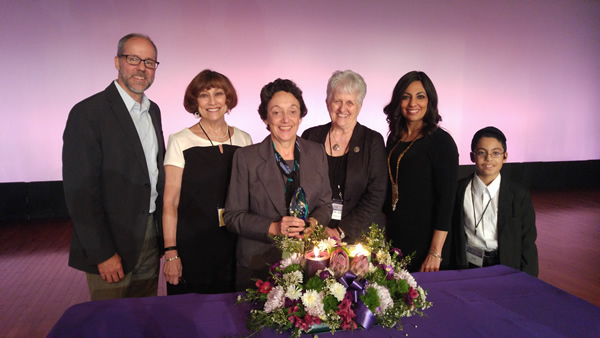 Recognizing the unique needs and great impact of suicide on a community, and building upon prior work, Dr. Allen launched the Suicide Safety Leadership Team during the summer of 2016. The team is comprised of the leads and additional members of the Westchester Suicide Prevention Task Force and the Putnam Suicide Prevention Task Force (including County Commissioner-level members) as well as leadership of PNW BOCES. The team’s overall vision and planning documents have been strongly informed by our work with the NYS Suicide Prevention Resource Center, particularly with Pat Breux, in her capacity as the State Coordinator of School & Youth Initiatives. The overarching goal of the RSSLT is to provide a coordinated mechanism for schools and communities to access expertise, guidance, support and resources to create an environment of suicide safety. Still in its early development, the RSSLT is focused on: 1) developing opportunities to educate school communities regarding suicide safety by hosting or providing relevant training; 2) providing a collaborative leadership team that can be activated to provide person-centered suicide prevention, intervention and response support to schools and the community; 3) developing a vetted list of resources, sequenced trainings (suicide safety, science of causes of suicide, mindfulness, mental health first aid, etc.) and best practices in suicide safety. In sum, the RSSLT is an innovative team that recognizes the school community as an essential hub through which we may develop suicide safer communities. Further, it builds on the strong presence of the RCT and Dr. Allen as the “go-to” resource for information, crisis support, and presenters for local programs. Through Dr. Allen’s vision and leadership, the team brings together the best of our counties’ initiatives, knowledge about suicide risk, knowledge of and connections to local resources, and a proven model for coordinating resource dissemination and crisis back-up. For these reasons, Dr. Allen and the RSSLT have earned the recognition of the SPC for Community Organization and Capacity Building. 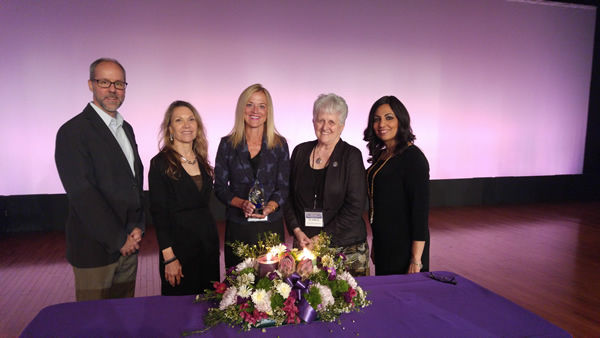 Additionally, the team has earned recognition for its focus on the school community as a locus for Youth Suicide Prevention as well as for Prevention Across the Lifespan of Communities. Scott and his family have been active in raising funds toward suicide prevention since 2010. Every year for the past seven years Scott has coordinated a golf tournament that has grown to raise over $8000 annually. Scott and his family do a great deal more than just raise money however, as they also attend literally every suicide prevention event across Tioga, Chemung, Broome and Bradford counties. Every cent they gather from the tournament is donated to county Suicide Prevention Coalitions. Scott and his wife Liz lost their 17-year-old son to suicide on January 4th, 2008. Scott reported that he has lost several friends to suicide since the loss of his son. Scott is a very humble man. When he wrote his first check to our coalition last year, he stated, “I raise the funds and give the money to people who know what to do with it.” He works hard at Laprino Foods in Waverly, NY and has many friends through work who have been a support for his goals of raising money toward education of suicide prevention. As the chair of our coalition for the past several years I have yet to meet anyone with the dedication, devotion and support of suicide prevention as Scott and his family.